We’ve seen this done before on the Nokia Lumia 800 – adding the convenience of wireless charging without adding the bulkiness of a case. In the latest wireless charging mod we’ve come across, Tanveer, who is a doctor by day and modder by night, applied those same pricipals to an iPhone 4S resulting in a wireless charging hack that is effective while maintaining the original design of the iPhone 4S. First of all, just like the Lumia 800 mod this will obliterate your warranty and you have to be comfortable with device disassembly and soldering to pull this one off. Besides the phone itself and basic tools, you will also need a spare charger port assembly, very thin gauge wire, an iPhone back, and a wireless charger circuit. Tanveer uses a Powermat as his wireless charger in his video. 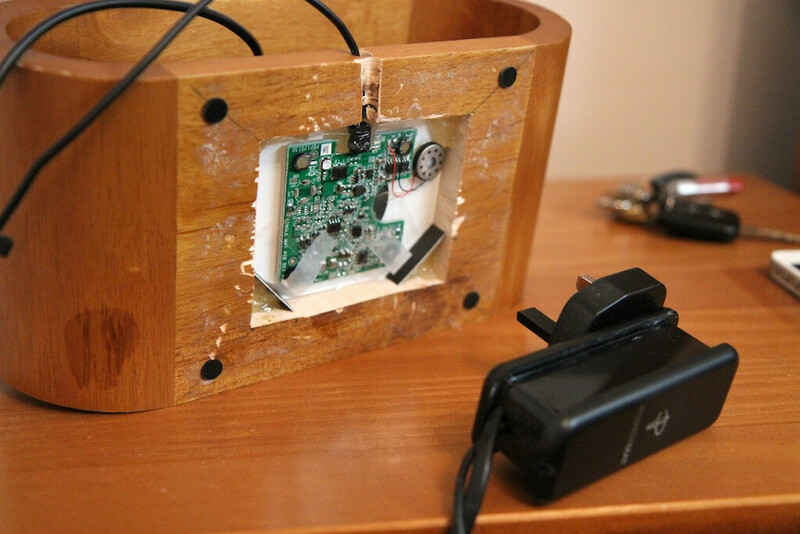 First he solders wires from the charging port to the USB points on the Powermat receiver. The specific points are detailed in his tutorial video. Because the wireless charging circuit adds an extra 1mm of thickness to the back of the phone, he then modifies the back cover of the iPhone to accommodate the added parts. 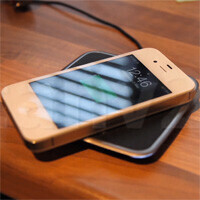 After reassembling the device, he demonstrates an iPhone 4S that retains its original look and feel while now being completely compatible with a Powermat wireless charger. He also noted to us that the built in port on the iPhone retains its original functionality. 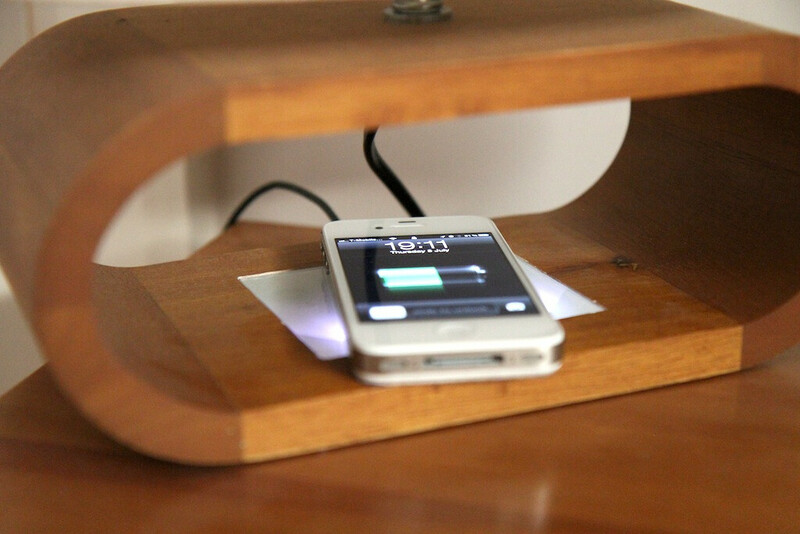 Check out the video below to see the iPhone 4S Wireless Charging Mod Demonstration and Tutorial in its entirety. Finally, if you think Tanveer is just about mods, think again. He also showed off some filming and editing skills in this promo video he made, with the help of some fabulous acting by his brother, for his hack that mimics the style of a classic iPhone ad just for fun. You may have noticed that in the promo video the iPhone triggers a night light when it charges. 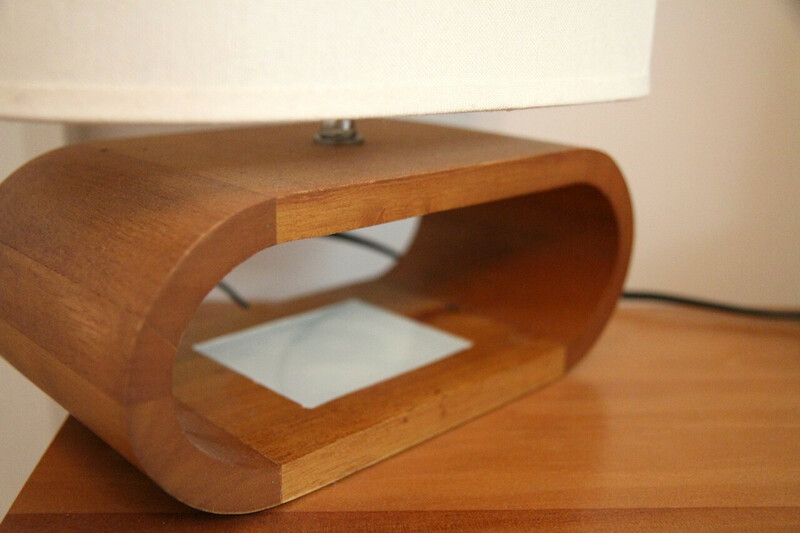 For this mod, he took things a step further by finding the perfect lamp for his nightstand at a local department store. 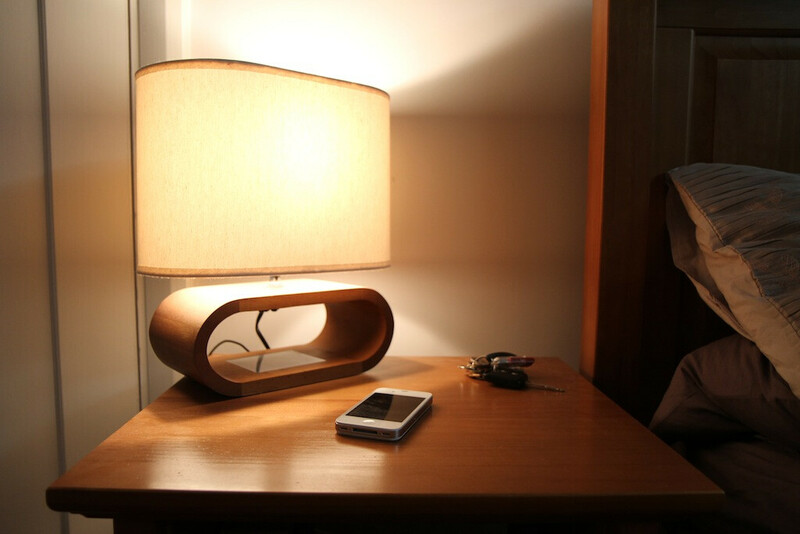 He then installed his charger into the base of the lamp so that the light activates when the iPhone is charging. Tanveer told us that he first accomplished a similar mod on his prior device, the HTC Desire, so we have to wonder what he's going to cook up next. He said his next project is to install a hidden wireless charger in the center console of his car that works with this system. It sounds pretty exciting. We can't wait to see it in action. I guess someone deleted post #2. He was replying to the post #2 and what happened to it. The iShp said iPhone was first to have this mod and S3 will follow and copy it.